Rebecca J. Margolies If math is Gong’s true love, she sure does have him whipped. Sherry Gong ’11 is brilliant with numbers. She is, after all, headed to New Orleans this January to receive the Alice T. Schafer Mathematics Prize, awarded annually to the number one female math student in the country. The daughter of two math professors, Gong remembers falling in love with math at a young age. Later, when she embraced physics, she would become absorbed with the beautiful precision of equations. Essential to Gong’s own background is a diversity of experience that has led to her unique intellectual approach. Born in New York, Sherry grew up in Toronto, Puerto Rico and New Hampshire. Math competitions have taken her to Singapore, Vietnam, and Mexico. 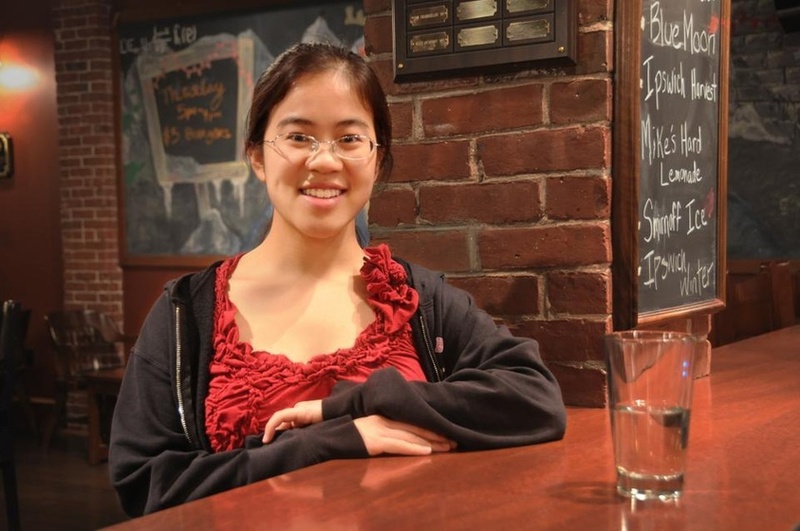 As a freshman, Gong scored over 100 in Harvard’s famous problem solving course, Math 55, which required perfect scores on all assignments, tests, bonus problems, and the final exam. The class directed her to the abstract math included in her joint mathematics and physics thesis. “The area of math I do is very much an ‘art’s for art’s sake’ sort of thing,” explains Gong. Alexander T. Hristov ’11, a friend of Gong’s, describes her unique ability to transfer her desire for truth to those around her. Hristov compares Gong’s effect to the work required of an eight-page proof, in which an assumption on Page four may slip under the radar or pass the grader’s eyes. “Sherry unpacks that [assumption] and says this one sentence you’ve stated or assumed is either wrong or requires another 10 pages of work, and she’ll do that other 10 pages of work because she thinks it matters,” says Hristov. So go intellectual discussions with Gong, which often extend to the early hours of the morning.